More than 200 people gathered at the Ace Building on December 5th for The Centre on Philanthropy’s annual Volunteer Recognition Reception. As part of Bermuda’s celebrations for National Volunteer Day the Reception sees members of The Centre nominate and recognise an outstanding youth and adult volunteer for the year. This year, 97 volunteers from 75 nonprofit organisations received certificates from The Governor, Sir Richard Gozney, and The Minister of Government Estates and Information Services, The Hon. Michael Scott. This was the largest number of nominees in the six years that The Centre has been organising the event. In his welcoming remarks, The Centre’s Deputy Chairman, Graham Pewter, said the Reception was just one small way to say thank you to Bermuda’s volunteers. He also spoke about the varying roles volunteers play, contributing as everything from mentors and sports coaches to dog walkers and the somewhat unusual position of “Experimental Lionfish Chef”. Following on from Mr. Pewter, Sir Richard congratulated and thanked the volunteers for their generous gifts of time. 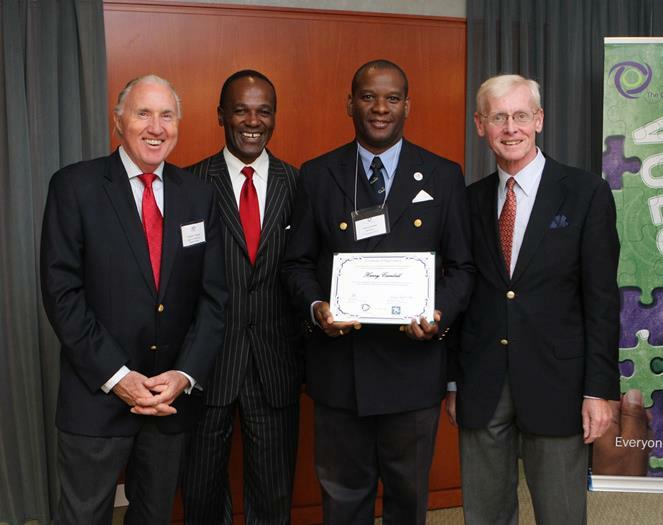 He recalled the extraordinary efforts of charity volunteers supporting those with HIV in Southern Africa, and said he has witnessed the same “principles, commitment and enthusiasm” amongst those volunteering on behalf of the Bermuda community. Calling on his legal training the Minister reminded the crowd that the word “volunteer” has its roots in the Latin word “volens” which is means “will” and that all of Bermuda’s volunteers should be commended on their “willingness to share”. 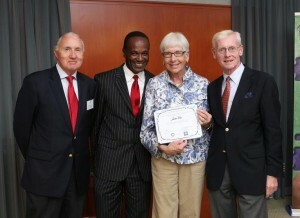 The Volunteer Recognition Reception was the final public event of The Centre’s 20th Anniversary year. In recalling the early words of The Centre’s founder, Cummings Zuill, Mr. Pewter pointed out the Mr. Zuill’s preferred definition of philanthropy is “voluntary action for the public good”. All those recognised on December 5th, and, in fact, all those who volunteer in Bermuda, can therefore be recognised as not only willing volunteers but also committed philanthropists. 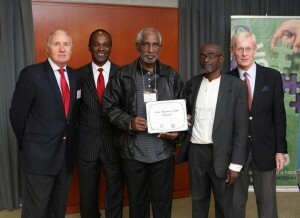 The Centre on Philanthropy would like to congratulate and thank them all. To learn about volunteering opportunities in Bermuda you can go to www.volunteer.bm.